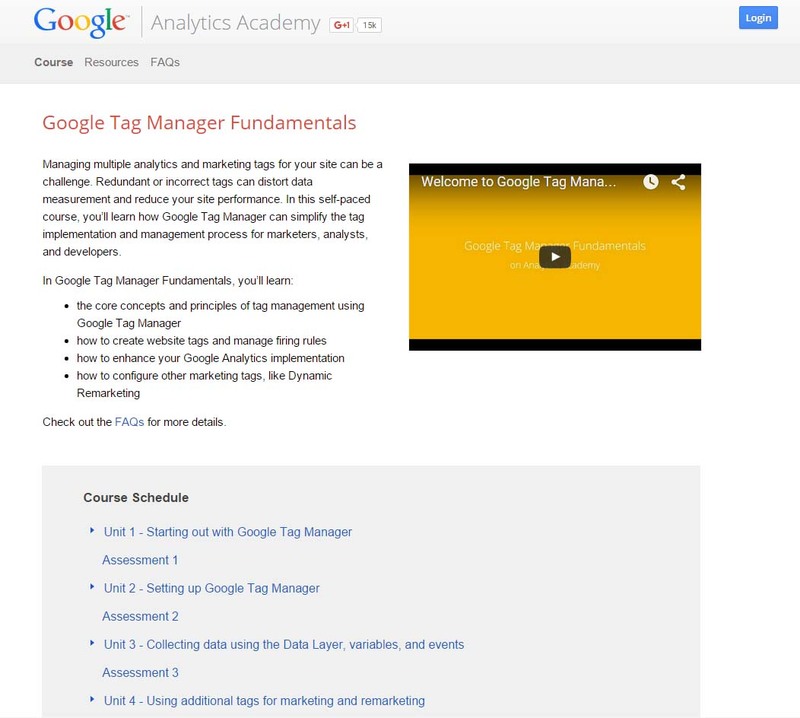 Using Google Tag Manager is a way of life for us as it’s perfect for our marketers, analysts and developers all looking to simplify site tag management and streamline analytics implementations. Working with clients in an omni-channel world requires Zion & Zion to track the success of marketing campaigns across multiple platforms, from many different sources and across multiple domains. One way we’re able to track and analyze our marketing efforts on behalf of clients is through the implementation of Google Tag Manager (GTM). Not long ago, this was traditionally an area owned by developers. 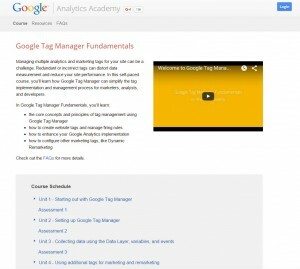 Google has made it much easier for marketers, analysts and developers to work together with the launch of their new online Tag Manager Fundamentals course. GTM has become a standard part of our development process. We use it first and foremost to integrate Google Analytics (GA) and to implement our client analytics measurement plans. Integration can range from the standard integration of GA to an advanced implementation which can have cross-domain tracking, enhanced eCommerce, display features, and many of the other tools GA provides. Next, what typically will happen is we’ll provide access to different departments within Zion & Zion so that they can all manage the tags that are relevant to them. It no longer requires a developer to add a piece of code to a site to get the data that marketers, media, or social media teams need (well, you actually still do require a developer in the case of “enhanced” ecommerce, but that’s a story for another day). Finally, something we use on a frequent basis is events in GA. Through GTM, we’re able to implement all of the events that are required for any given client measurement plan. The videos in the new GTM course go over each of these subjects in detail and give you a good understanding of how they work, and if you still need help, you can contact us as our Tag Manager experts regularly consult with and tutor clients on GA and GTM implementation. GTM also had a recent major version upgrade from 1.0 to 2.0, and a lot of things changed. Google gave the naming convention a revision, so it now makes more sense for non-technical users. The process for how to create tags, rules, and actions changed to form a flow that’s easier to follow. Those coming from 1.0 to 2.0 can benefit from watching the GTM video as it goes over the new version of GTM. When Google switched from GTM 1.0 to 2.0, it ported everything over, but there was still the need to check and verify everything still worked as it should. Because GTM is such an intricate part of our development / post-development cycle, we’re on the edge of our seats when it comes to new GTM features. And the GTM course is a great first stop for information. Over the years, our team has continually evolved how we implement and use GTM. To truly implement GTM effectively, it’s important to have members on the team with different areas of expertise and a strong understanding of GTM. By including trained team members from various backgrounds on projects using GTM, we’re able to develop thorough plans for monitoring and tracking the success of each marketing campaign. This gives us the ability to evaluate our marketing efforts and optimize each campaign in real time to deliver results that exceed our clients’ expectations. Using the data we generate in real time, we can modify our approach to put the right content in front of the right leads at the right time. GTM allows us to be proactive in our efforts and is what separates our work from traditional agencies. The value gained from having your team members trained GTM fundamentals can open up a lot of opportunities to optimize your marketing campaigns and gain greater insights in online behavior and user experience. GTM has done that for us, and it can do it for you. Next post : What is Information Architecture?